Pipe Ten’s focus is on software, service and support using it’s own hardware/servers and best of class hosting facilities with carefully chosen infrastructure operators and network diversity. As a data center independent hosting provider, Pipe Ten is uniquely positioned to ensure your application is placed in the best location rather than the most convenient location. In addition to being a data center independent provider, Pipe Ten is also a network independent provider, allowing for greater network segregation and diversity. Transit provider blend may vary from time to time, the following providers are currently used or available at each facility, feel free to make contact for further information. Pipe Ten owns all of its own hardware outright without lease or finance, using premium Dell rack servers deployed bespoke to the applications need. Exclusivity to one server hardware provider allows for greater spares availability, serviceability and a deeper understanding of how to get the best performance and where additional redundancy should be added. In addition to Dell, Pipe Ten uses Cisco switching for critical networks when most suitable. 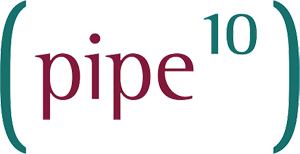 Contact Pipe Ten for bespoke advice on how to make the most from your hardware/servers and get the best performance for your applications. Windows Server, SQL Server and associated applications are available through Pipe Ten’s Microsoft SPLA programme. A diverse hosting control panel system written by Parallels, used and expanded upon extensively by Pipe Ten. Underpinning Pipe Tens cloud and virtual solutions, Citrix XenServer brings stable and cost effective virtualisation. Using FreeBSD and pf for stateful packet inspection, this is a powerful firewall and networking tool used extensively by Pipe Ten. The Latvian army knife of monitoring tools, Pipe Ten has a long experience of using and customising Zabbix to ensure your solution is available and performing correctly, or the quick analysis is available should it not be. Pipe Ten engineers are also constantly crafting tools and internal applications for the management, security, stability, monitoring and performance of its infrastructure, ensuring everything works together smoothly. A trusted security provider, Pipe Ten uses exclusively Comodo SSL certificates across its solutions, but actively supports the use of any SSL provider. Nominet Member and Tag Holder (PIPETEN). Nominet is used exclusively for .uk registrations. Registrar of choice for non .uk registrations Pipe Ten uses Enom’s domain registry services.